On Saturday, November 22, BAIT’s fourth chapter store will open at 915 E Pike Street in Seattle! 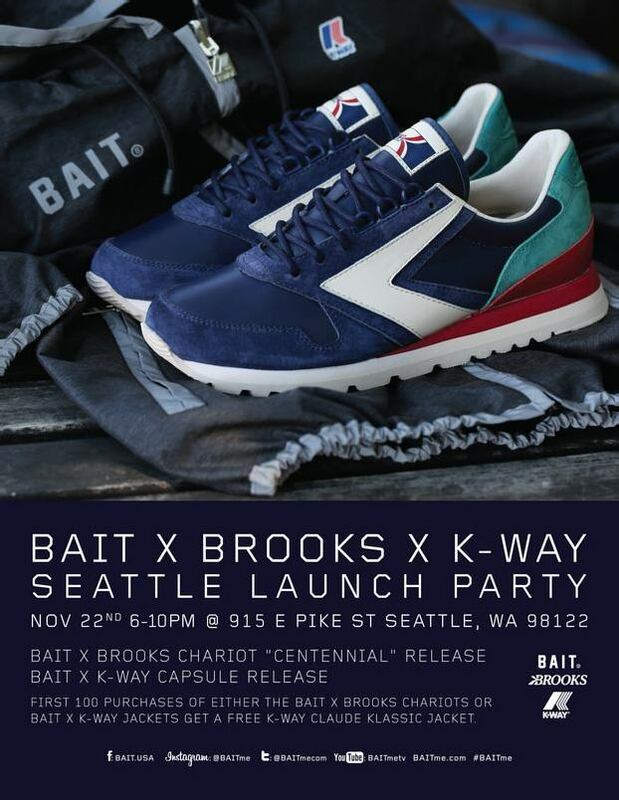 That day, the store will be hosting a party from 6-10 PM to celebrate the opening along with the launch of two collaborations – the BAIT x Brooks “Centennial” Chariot and the BAIT x K-Way Jacket Collection. The first 100 customers to purchase either the “Centennial” or one of the jackets will receive a free K-Way Klaude Klassic Jacket. See you there!